Following a hugely successful run at London’s Garrick Theatre and the record-breaking cinema broadcast, Pannonia Entertainment are delighted to be bringing Kenneth Branagh’s award winning production of The Winter’s Tale back to the cinema screens for the 2019 festive season. Recorded live in 2015, Shakespeare’s timeless tragicomedy of obsession and redemption is reimagined in a production co-directed by Rob Ashford and Kenneth Branagh, following their triumphant staging of Macbeth in Manchester and Manhattan. The Winter’s Tale stars a remarkable group of actors, featuring Judi Dench as Paulina, alongside Toom Bateman (Florizel), Jessie Buckley (Perdita), Hadlex Fraser (Polixenes), Miranda Raison (Hermione) and Kenneth Branagh as Leontes. Pannonia Entertainment distributes these unmissable theatre play to cinemas across Hungary, Poland and Croatia. This is the tale of an obsession with light and water the painter could not escape from and how he transformed it into a kind of magic. A tale of the radical elements that revolutionized Modern Art: Monet’s clear intentwas to transfer onto canvas the “first, pure impression” of forms and objects as they appear to the eye that has never seen them before. And this documentary will show the Water Lilies by Claude Monet, as they have never been seen before. A unique, exclusive look at the masterpieces housed at the Orangerie Museum, the Marmottan Museum, the Orsay Museum and Giverny, forthe firsttime ever on the big screen for an unrepeatable experience. Inspired by the international bestseller Mad Enchantment: Claude Monet and the Painting of the Water Lilies (2016) written byRoss King, also featured in the film. Available only in Hungary, Romania, Slovakia and Czech Republic. With 11 titles, the Royal Opera House Live Cinema Season 2018/19 is set to thrill audiences in more than 1500 cinemas in over 40 countries. Including some of The Royal Opera and The Royal Ballet’s much-loved classical repertory, the world’s top ballet and opera stars, and four brand new productions, Pannonia Entertainment distributes live satellite broadcasts and recorded shows of performances from the Covent Garden to cinemas across Hungary, Poland and Romania. 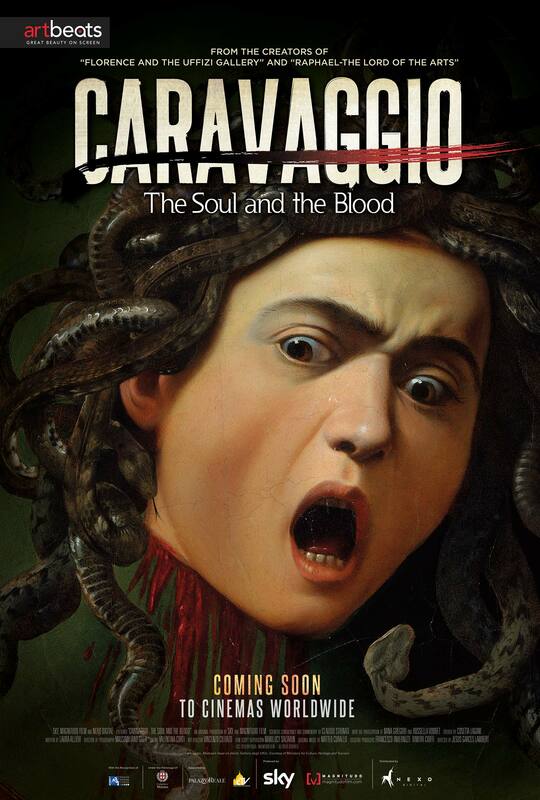 After groundbreaking success in terms of audiences and critics of “The Vatican Museums” and “Florence and the Uffizi Gallery”, and after the release of “Raphael – The Lord of the Arts”, here it comes a new documentary dedicated to an Italian Master: Caravaggio – Soul and blood. According to the Longhi’s lesson (the main Caravaggio expert), his work will be read with strict reference to his existence, finding in his masterpieces the echo of personal experiences. The artistic digression, in which the commentary of the main artworks will be entrusted to an illustrious art historian from the first painting: Bacchus and Boy with a Basket of Fruit. Through the roman period artworks: Cardsharps, Judith Beheading Holofernes to the last works as David with the Head of Goliath. “Photographic” scenes that, accompanied by the voice of Caravaggio himself, evokes an object or a situation symbolizing his life and his works. A basket of fruit, a musical instrument, a sword, a grate of a cell etc. These emotional and evocative moments – thanks to the use of light and cinematic techniques such timelapse and slowmotion – help the viewer to go deep inside the mind and soul of Caravaggio, empathizing with his impulses and fears. Available from April 2018, Pannonia Entertainment distributes this unique art documentary to cinemas across Hungary, Bulgaria, Czech Republic, Slovakia and Romania.